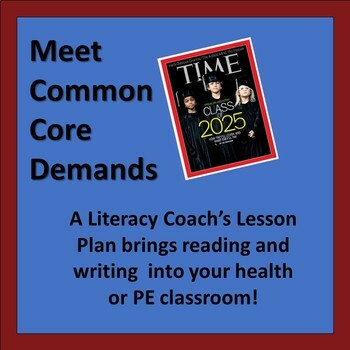 As the literacy coach at my high school, one of my professional goals for the 2013-2014 school year is to help my content area teachers incorporate more real world reading into their classes. A Health Opportunities through Physical Education (HOPE) teacher at my school asked me to come to her classroom and model a lesson. 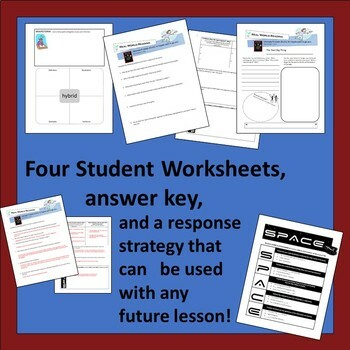 I developed this lesson plan for her class and to share with the other HOPE teachers in my school. NOTE: This assignment is based on the following article found in Time magazine. Subscribers should have access to the entire article through Time’s website, or you may be able to find the article through your media center’s magazine database. Gregory, Sean. 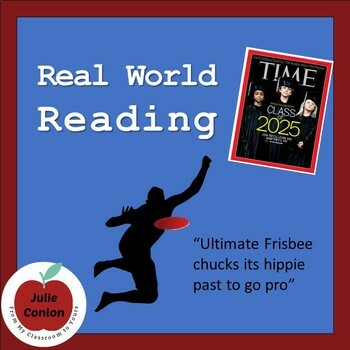 "Spin Doctors: Ultimate Frisbee Chucks Its Hippie past to Go Pro." Time 7 Oct. 2013: 64-66. This article discusses the up and coming sport of Ultimate and relates the challenges the sport faces as it attempts to establish itself in the world of professional sports. IF YOU DON'T HAVE ACCESS TO THIS ARTICLE, THIS LESSON PLAN IS NOT GOING TO HELP YOU. 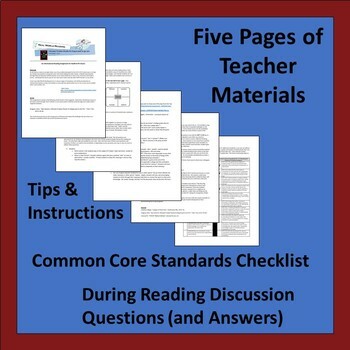 PLEASE MAKE SURE YOU CAN ACCESS THE ARTICLE BEFORE PURCHASING THIS LESSON PLAN!